Shahid Kapoor won the Most Stylish Star (Male) trophy at the Filmfare Glamour and Style Awards two years in a row and received his second trophy from Karisma Kapoor last night. 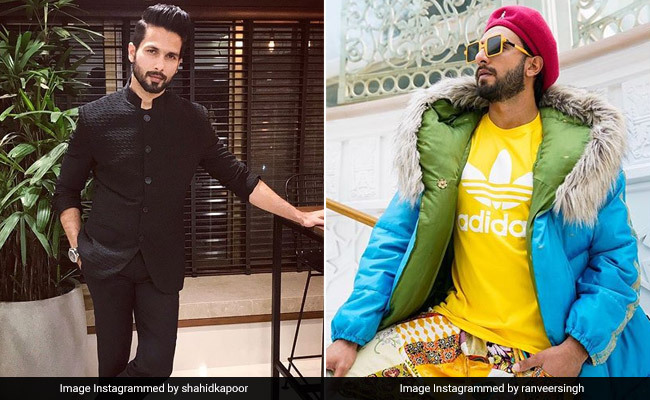 As a video of Shahid receiving the award was shared on Instagram, a section of the Internet appeared to disagree with Filmfare over the winner. "Why not Ranveer Singh?" was the general reaction to the Instagram video, which was originally shared by Filmfare. Instagram majorly advocated for Ranveer Singh, who is renowned for his flamboyant sense of fashion and OTT outfits. "Ranveer Singh deserves it the most," read a comment while another added: "Not Shahid, Ranveer Singh deserves that." Apart from disagreeing with the decision, Instagram also appeared quite a bit disappointed and there was no dearth of comments stating things like: "I thought Ranveer Singh will win the award" and "C'mon everyone knows, the one person who truly deserves it is, the one and only Ranveer Singh." There was also a whiff of trolling for Shahid Kapoor in the comments section, as many unapologetically wrote: "Stylish? And Shahid? It is Ranveer" and "Looked like Shahid is wearing a raincoat." However, the rude comments were also punctuated by congratulatory messages for Shahid Kapoor. So, it's safe to say that he's still got a chunk of Instafam rooting for him. Shahid Kapoor and Ranveer Singh famously co-starred in Sanjay Leela Bhansali's "Padmaavat," also featuring Deepika Padukone. While Ranveer skipped last night's event, Deepika made a head-turning entry in a Jean-Louis Sabaji ensemble. She won the Most Glamorous Star (Female) award while the male counterpart trophy went to Shah Rukh Khan. Shahid Kapoor's Mausam co-star Sonam Kapoor won the Most Stylish Star (Female) award. During the filming of "Padmaavat", Shahid and Ranveer were rumoured to be at cold war with each other over difference in opinion on sets.